I can’t believe this is real. So what’s All Your Twisted Secrets about? Determined to get everyone out of the room alive, Amber orchestrates friends and foes alike to work together to find a way out—and keep the tension with her selfish boyfriend from imploding. But as she grapples with the clashing personalities of her almost-ex, her former best friend, the queen bee, the stoner, and the nerd, the bomb’s timer ticks down. Confusion turns into fear, and fear morphs into panic as they race to uncover who locked them in… and who’s going to die. This was the most challenging book I’ve ever written. It’s a dual-timeline deconstructed murder mystery, with alternating flashback chapters dropping clues about whodunit and who the victim will be. It also tackles some heavy themes, including bullying, gaslighting, and revenge. I have never been prouder of a project, or more excited to share my words with readers. Who will get to hold my book in their hands. In bookstores. And libraries. Like I said, I can’t believe this is real. I can’t claim this is a childhood dream come true — I didn’t think I was remotely capable of writing a novel back then! I used to marvel at J.K. Rowling’s world-building, R.L. Stine’s cliffhanger chapter endings, Agatha Christie’s brilliant red herrings, and Stephen King’s terrifying descriptions, and think, There’s no way in hell I could ever do that. So I didn’t think becoming an author was a dream I was worthy of having. I didn’t even bother to try. Instead I let my story ideas swirl around my brain without release. I was too afraid to fail. Fast forward to my mid-twenties, while on a business trip in Paris, I witnessed a coordinated pickpocket attempt on the métro by a gang of teenage girls. That night, I researched pickpocket techniques Parisian gangs use on unsuspecting tourists, and learned about children sold into organized pickpocket rings across Europe. It hit me like a ton of bricks, and I knew someone had to tell their story. The urge to tell it overpowered my fear of failure, and that book poured out of me in one month. After two months of revising and a week of querying, I signed with my first literary agent. Long story short (too late? ), I signed with my first agent almost five years before announcing my first book deal. Sure, you can call it perseverance if you want. But I can’t even tell you how many times I almost quit. Every step of this process has felt like clawing up an escalator going the wrong way. It’s not just the rejections — it’s endlessly waiting for something that might never happen, as everyone around you seems to be getting deals. The struggle is real. If you’d like to read more about my publishing journey, subscribe to my VIP mailing list here, and I’ll email you each time I dish on the process! After my third go on submission flopped in September 2017, I was crushed. Though people kept telling me to indie publish, I’d wanted to hold out for a traditional publishing deal since I’ve exclusively written young adult novels, and teens still largely read print books. So I wanted to get print distribution via a publishing house. But I was so tired — tired of all the fruitless R&Rs, tired of constantly refreshing my inbox for updates from my agent, tired of feeling like I was wasting time. I knew there were readers out there I could reach via independent publishing. After all, thanks to my day job at BookBub, I’ve seen tons of authors I admire achieve great success indie-pubbing. So I decided to self-pub, and parted ways with my second agent. I was off to the races! I hired a freelance copyeditor for my Paris-inspired YA thriller. I started reaching out to cover designers. I got a blurb from a published YA thriller author. I was all in. I hit pause on my indie-pubbing plans and soul searched for a bit. I wanted to see my book in hardcover. I wanted to pick it up in a Barnes & Noble. I wanted it to be accessible to teens who exclusively read print. I wanted the dream. And what if this really was the one? So I dove back into the query trenches. 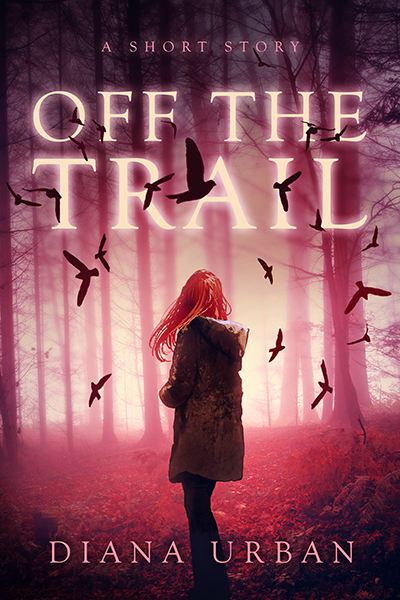 You can read all about my querying adventures here, and how I landed my agent Jim McCarthy. We also co-wrote this post for the #MSWL blog. After signing with Jim just a few weeks later and revising All Your Twisted Secrets once more, I was back on submission. And a couple of months later, an editor at one of my dream imprints emailed Jim asking for a phone call with me — she loved the book, but her team wanted me to make some changes before considering it further. If you look at my stats above, you’ll see I’d done several R&Rs in the past, and none had panned out. I’d already invested a lot of extra time on ultimately-shelved manuscripts. So I was apprehensive. But this was the first time an editor had asked directly for a phone call with me, and she’d already brought my book to a meeting, so I knew she was serious. But I was desperately trying not to get my hopes up. Our phone call was fantastic; I loved the editor’s feedback, and I could hear how excited she was about the book. She asked me only to revise 50 pages — another first for me, as my previous R&Rs required editing the full manuscript. I made the changes, and sent the pages to my agent. “Uh, hi? It’s Jim.” He must have been calling from his mobile. I kid you not, my heart fell directly into my uterus. I sprinted across the office to the nearest available conference room, and yes, it was THE CALL. The R&R panned out, and that imprint — HarperTeen — was making an offer. After I called my husband and my parents to scream for a bit, I slinked back to my desk with a huge grin plastered across my face. My coworker who sat across from me, clearly suspicious, messaged me on Slack: “So how are things post-BookExpo?” Me: “Things are great because I JUST GOT THE CALL!” This led to a scene straight out of a sitcom; she announced the offer to the whole office, and there was clapping, hugging, and lots of blushing profusely on my part. 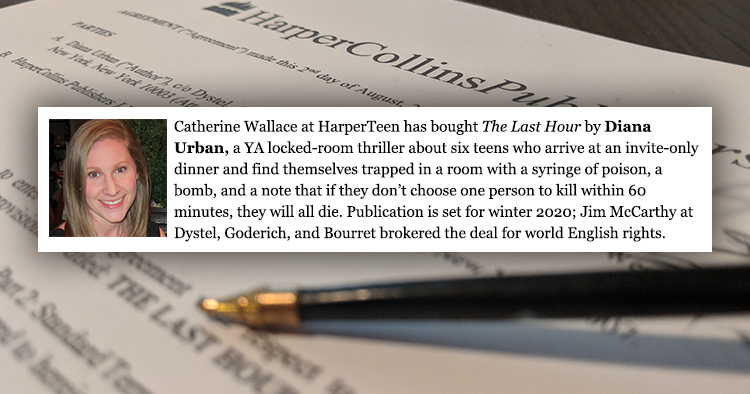 And a few days later, we accepted HarperTeen’s offer. So here we are. This is the hardest secret I’ve ever had to keep — it’s been almost three months since that day! I still can’t believe I’m really going to be a published author. Infinite thanks to my editor Catherine Wallace for buying my book (I’m so excited to be working with you!! ), and to my agent Jim McCarthy for selling it (and answering my unending barrage of questions). And I’m so grateful for everyone who’s been there for me along the way — my husband, family, friends, CPs and beta readers, BookBub coworkers, and fellow authors who’ve participated in much-needed venting sessions over the years. And I’m glad I kept going. I might self-deprecatingly point to all the times I almost quit, but the moral of the story is… don’t quit. Keep writing. Keep honing your craft. Keep meeting authors and learning about all things publishing. Keep fighting that anxiety tells you you’re not good enough (lies, all lies). Keep going, because someday the dreams you didn’t even bother having might come true. P.S. 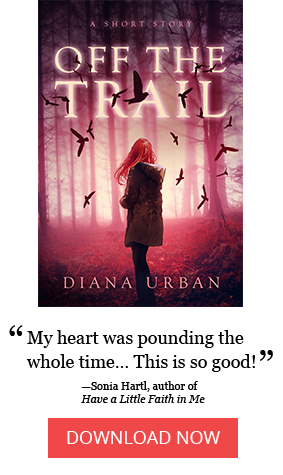 If you’d like to check out my writing, sign up to my VIP mailing list below to get my psychological thriller short story Off The Trail. I’ll email it to you right away! Get updates delivered to your inbox! You’ll be the first to know about new books, exclusive content, and more. PLUS you'll get a free psychological thriller right away! Get updates delivered to your inbox! You’ll be the first to know about new books, short stories, exclusive content, and more. I write dark, twisty thrillers for teens, including All Your Twisted Secrets (HarperTeen, February 4th, 2020). When I'm not torturing fictional characters, I’m a marketing manager at BookBub, a leading book discovery platform, where I publish book marketing tips.